Do you have any cookie fans in your classroom? I bet so! 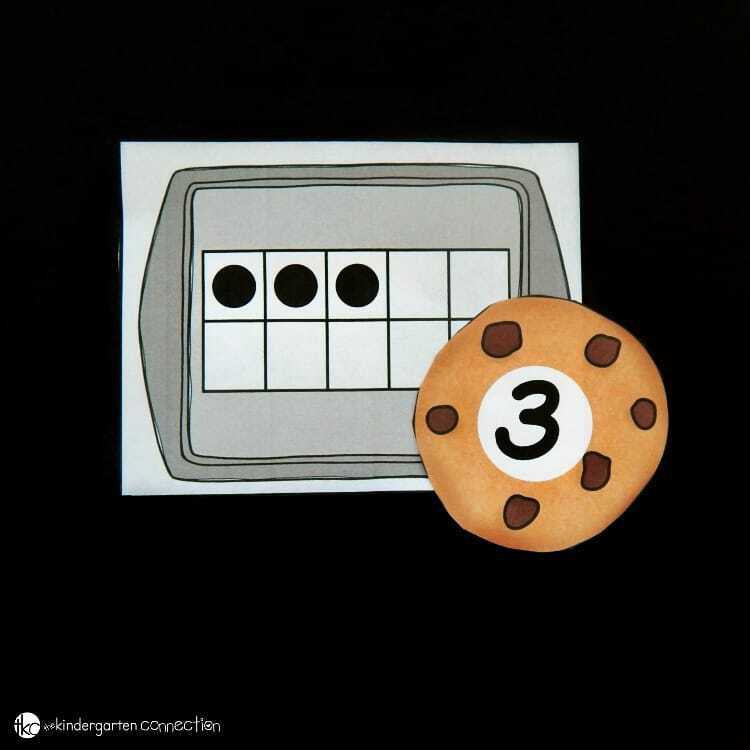 This cookie sheet ten frame matching game is perfect to play after reading If You Give a Mouse a Cookie, or just to have on hand in your Pre-K or Kindergarten classroom for a fun math center while learning to match ten frames to numerals. 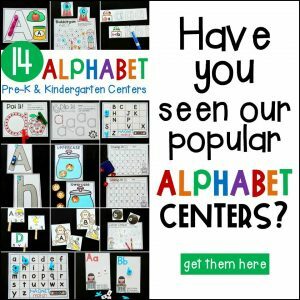 This activity is fairly quick to prep, and the best thing about it is that I can stick it in a ziploc bag and use it again from year to year! I printed out the ten frame cookie sheets and the number cookies and laminated them, and then I cut them apart on the solid black lines. You can cut the cookies out on the solid square lines, or cut them into a circle. I opted for a circle feel to give them a more “cookie” feel, but they may last longer left as squares since they won’t bend as easily (though if you print on cardstock, this may help). There are several ways to play this game. 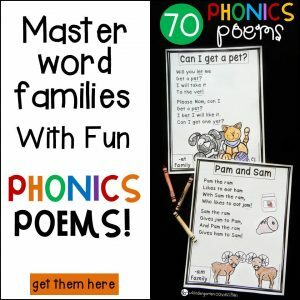 You could just have kids pick up the cookies and cookie sheets and pair them as they go along, you could play it like a memory game and put them face down until you find the matches, or you could play a more guided version in a small group. Then, we took turns picking up a ten frame and identifying how many dots were in it. Some kids counted one by one, while others who are a bit stronger at subitizing were able to recognize the amount instantly without counting. 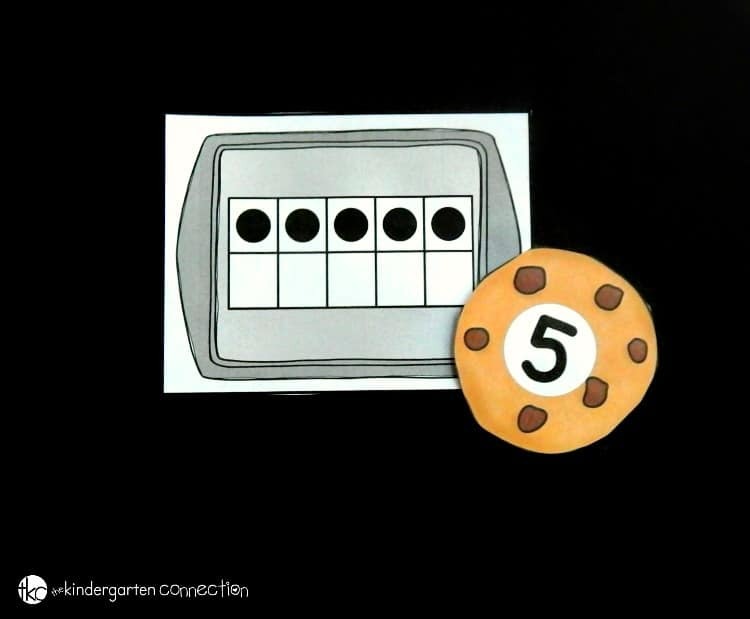 When we knew the total, we matching up the cookie sheet with its cookie! We kept going until all of the cookies had found their match. Ready to give this a try with your kids too? 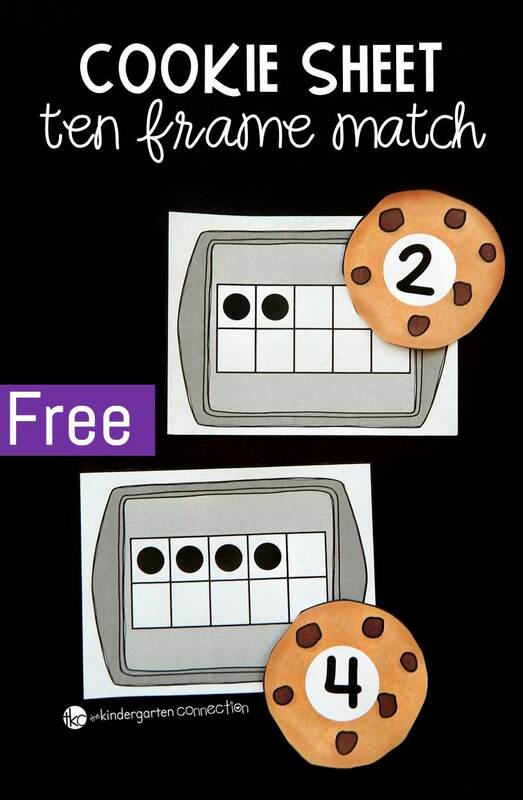 Grab your copy of the cookie ten frame matching game by clicking the yellow button at the very bottom of this post. 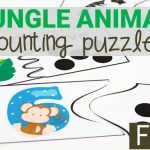 Then, for tons of number and counting fun, hop over and grab our print and play counting centers! Looking for more cookie ideas for teaching? 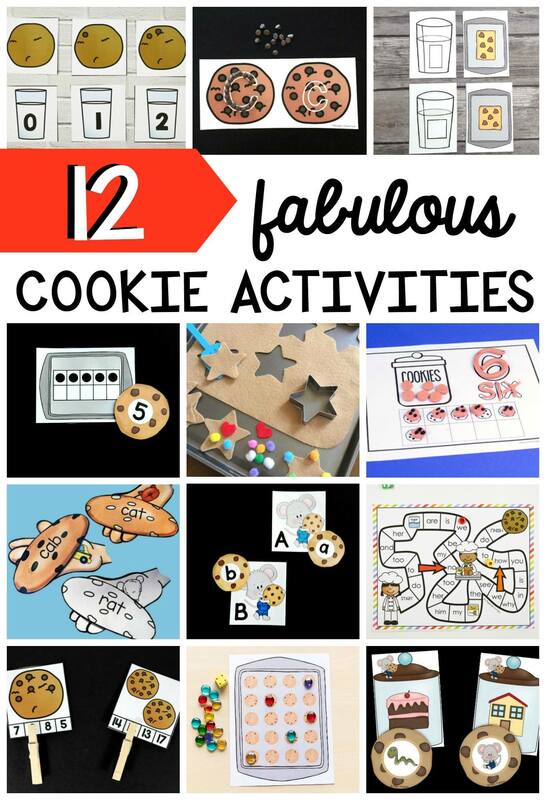 You will love this collection of cookie themed activities and printables from some of my favorite kids’ activities bloggers! 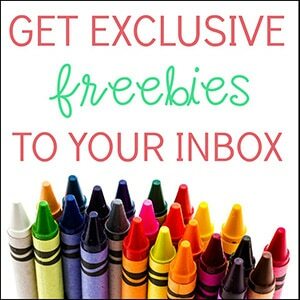 I can’t thank you enough for sharing all your awesome activities! Your resources are just so fun and my students like them so much!!! 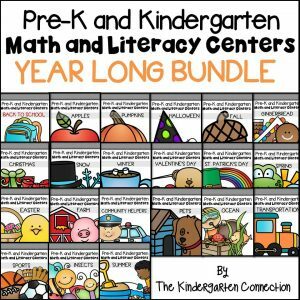 Thank you again and sorry for so many downloads but I’m excited to get ready for this school year (going back to Prek) Thank you!!! This is wonderful news! We are so very happy to hear that you are enjoying our resources. Have a wonderful school year in Pre-k!